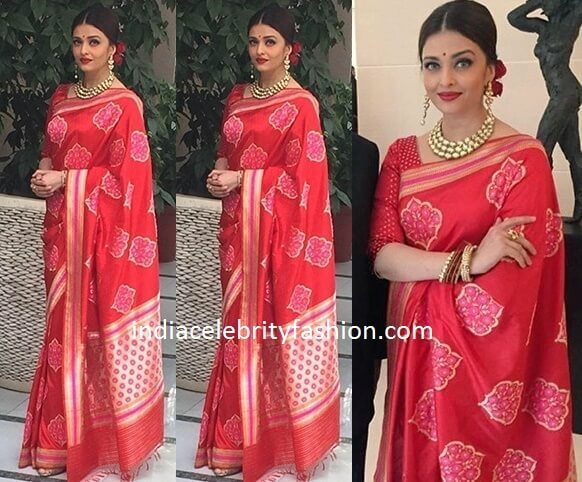 Aishwarya rai attended French consulate Republic day lunch in a beautiful swati and sunaina red saree with floral design on it paired with elbow length blouse.She finished her look with center part hair with rose flowers,bindi,red lip and polki diamond jewellery. Huge fan of the look ! You ?